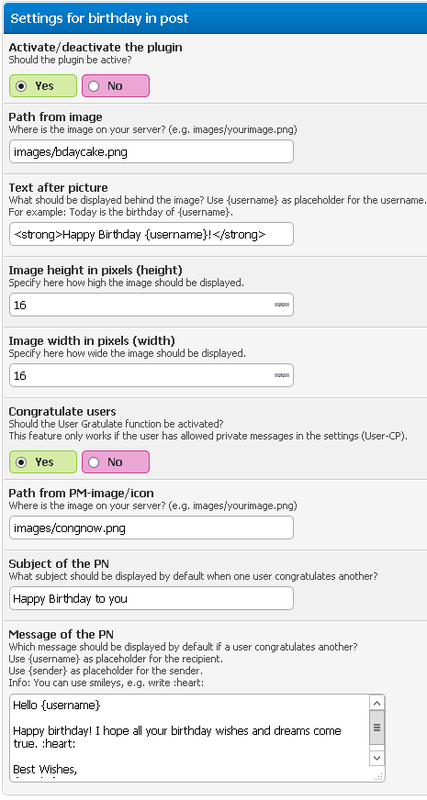 If the user has birthday today and has activated "Show birthday + age" in the settings, the birthday will be displayed in every post for today. 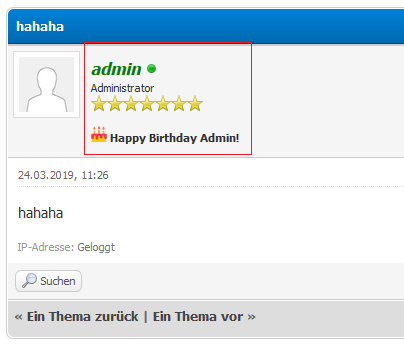 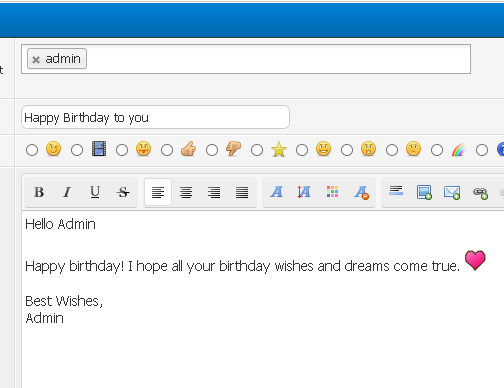 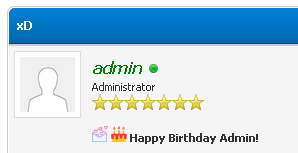 It is also possible to congratulate the user via PN. 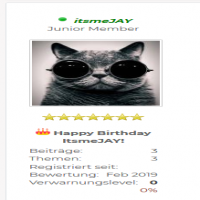 Info: the icons can be easily exchanged and your own can be used.